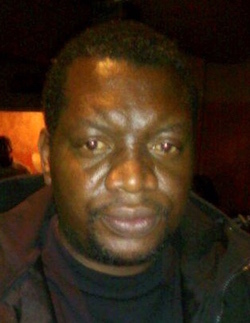 Human rights activist Nixon Nyikadzino has had several brushes with law enforcement agents in Zimbabwe whilst defending citizens rights, but that has not deterred him from carrying out his duty. Recently he had charges of “unlawful entry” leveled against him dropped following his arrest at a local prison where he had paid a solidarity visit to detained activists. As Programs officer for the Crisis in Zimbabwe Coalition (CiZC) Nyikadzino has been on the forefront defending citizens rights. This has included campaigning for the release of missing human rights activist and Giraffe Hero Itai Dzamara. Speaking at the launch of the Itai Dzamara Trust Fund, Nyikadzino said that the Fund was meant to carry Dzamara’s legacy. Apart from working with CiZC, Nyikadzino is an active member of the Vendors Initiative and Social Transformation Trust (VISET). There, he’s been instrumental in campaigning for the rights of vendors in the capital who have been subjected to harassment and abuse by municipal police officers. “Human rights is my passion and I’ll continue fighting for the rights of citizens no matter the challenges that I face,” he concluded.